This section is designed for those of you who are new to the whole couponing and deal seeking experience. The point of this site is to SAVE YOUR MONEY! 1. Save any and all coupons you can get your hands on. This means when at the store, keep your eyes peeled for blinking coupon dispensers. ALWAYS take the coupons, even if you don't need the product or would not necessarily buy it. This is how I have gotten many items for free! When you get your Sunday paper, save the inserts. Go out and get a couple more papers if that particular Sunday's paper is loaded with coupons. The Dollar Tree, or most big dollar stores have the Sunday paper for just a buck! Use a coupon or two and it's paid for! For a preview of what coupons are going to be in your Sunday paper, go here: Sunday Coupon Preview. 2. Sign up for store rewards cards! Rite Aid's Wellness + and CVS' Extra Care are a MUST! Walgreens does not have a program that requires sign-up. Neither does Target. Many retailers do though. Before you buy from any retailer, check up and see if there is a rewards program. There may be a great deal on body wash at CVS where you can get them for a quarter each, but don't jump on it, Rite Aid may have the same thing for free or even better after your +up rewards! I plan every shopping trip before I go, that way I am prepared to get the best deal out there. Make a list, clip the coupons, bring the rewards cards and extra bucks and follow the list! I know there is a stigma attached to using coupons for some people. I don't understand it, but there is one. People are shy or embarrassed to use them. This is further accentuated by temperamental registers that beep upon scanning certain coupons which cause a delay for you and the shoppers behind you. Well I have something to say about that; IT'S YOUR MONEY! If you want to throw it away, then go straight to a store/website and shop your heart out without any coupons or discounts. They'll laugh all the way to the bank. I will try my best to only post deals that WILL NOT CAUSE BEEPING and if I know a coupon may cause beeping, I will mention it. If a coupon is rejected, and you know it should have been accepted, say something, get a manager, call the 1-800 number or at the very least, put the item back. Don't just say "oh well" and take it. I prefer a confrontation free transaction though. There are some people on other sites who seem to be looking for a fight, and that is not me. I am just looking to score some sweet deals. This blog will be written with that mentality. This is a must. Coupons expire, rewards expire, extra bucks expire, everything expires! Keep in mind expiration dates. The most important of these are the expiration dates of the Extra Bucks and +Up rewards you will get from CVS and Rite Aid. The rewards are as good as cash and can be used on anything except booze, lotto and gift cards. They print out on the bottom of receipts and have a shelf life of about a month. I have let $15 or more bucks expire and I was mad! Now I have a calendar that I use to warn me of expiring dates. If you are actively shopping at those stores weekly or bi-weekly, you should have no problem using the bucks before they expire. 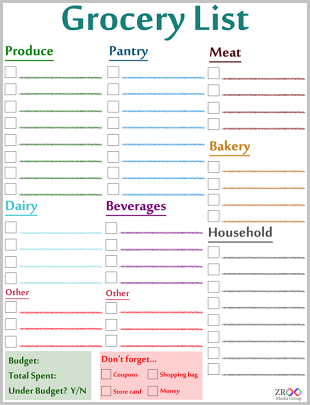 Keep your coupons organized! I started by using a binder with subject dividers and baseball card pages. I would clip the coupons and sort them based on categories (bath, food, chemicals). Needless to say, that got a little tedious as I got more and more coupons. Now, I have a durable accordion file, sheet protectors and post-its. Here's what i do: My accordion file has 20+ sections and each is named for a week (11/21/10 etc) In each section, I have sheet protectors labeled for which insert is in each protector (Red Plum, Smart Source). If I buy multiple papers, all like inserts go in the same sheet protector. I have found that this process works WAY better than anything else I have tried. Often, when seeking deals here and elsewhere, the coupons listed will have a location id (8/31-ss). That means the coupon listed can be found in the August 31st Smart Source. Organizing by the method I use makes finding that coupon a breeze! 6. Plan on Having Extra Money! This one is simple. Following the tips on this blog will save you some serious bucks! Go ahead, start planning how you are going to spend your new found fortune! Kudos for a great site. A real money saver!!! Thanks! Check back often for great deals! OMG! I agree with you all the way regarding the whole coupon sitch! I am a huge coupon person- often I get many products for free if I do the math right! It is true abt the stigma- but hey- we win at the end. Anyway, I wanted to ask you to please elaborate on how you organize your coupons. I want to be more organized with my coupons. I dont understand why your old way didnt work- organizing by catogory- that is how I do it, but I want to switch to organizing it by brand, because that is how most coupon deals work. Thanks for your interest in my site! The old way of organizing that I described, where I would clip and sort did not work for me because I wound up having too many coupons clipped. With the sites out there, like this one, that lay out the deals and tell you where to get the coupon, I found it easier to find the coupons I needed when I sorted them by the date they came in the paper. With the clipping method, I had to too much unnecessary clipping and sorting. My new way, where I just sort the inserts by date (each date slot has however many folders there are inserts in that week) is way easier for me. For example, let’s say on January 15th, there was a Red Plum and a Smart Source; I would have a slot in my file folder labeled January 15th with 2 folders in that slot each labeled “Red Plum” and “Smart Source.” That makes it easier when you see deals (like on this site!) that say $1/2 coupon found in the 12/5 Red Plum. Then you can just go to the insert and clip it as needed. This is especially true if you are (which you should be) buying multiple papers on weeks when there are good inserts. As far as the best store for deals. I think you are lucky that Rite Aid is the only one you use, because overall, that is the best one. I don’t deal with Walgreens, as I think their rewards/coupon policy is terrible. I will only go there if they have a deal I CANNOT pass up (which is very rare). Target often has great deals too, but CVS is a little better than them. Between those 3 stores, I never have a problem finding a great deal every week. I’m loving this site! If everyone knew these secrets, I think these stores would be out of business! Nice to know I’m not the only 20-something out there who uses coupons! Ha! I can’t understand why more people in their 20’s don’t use coupons. I mean, I feel like the 20’s is the time where people are the most broke!